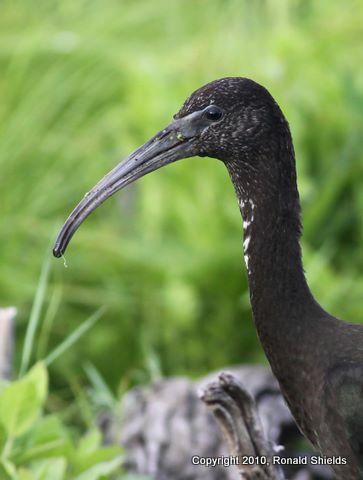 "Attached please find some close-up images of the Glossy Ibis as seen at the Kearny Marsh last Thursday. "The bird, which I have seen through Saturday, has been a regular visitor to the marsh as of late. The rest of Ron's pix follow. 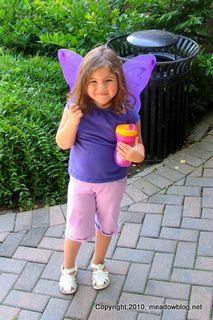 One of the many great things about Butterfly Day at DeKorte was the variety of butterflies we had — at least 16 kinds. We also had two types of moths, including a Hummingbird Clear-winged Moth. Several of the 270+ attendees actually got to see a Monarch Butterfly depositing an egg on a Milkweed leaf. 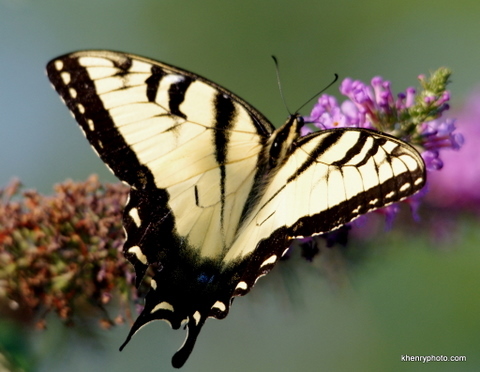 Having experts from the Northern New Jersey Chapter of the North American Butterfly Association was a huge help — and so was the great group of knowledgeable volunteers from Bergen County Audubon, who also helped the Meadowlands Commission set up the event from Day One. We also had kid-friendly scavenger hunts, butterfly cupcakes, information on gardening for butterflies (and real live plants), plus lots of other activities. 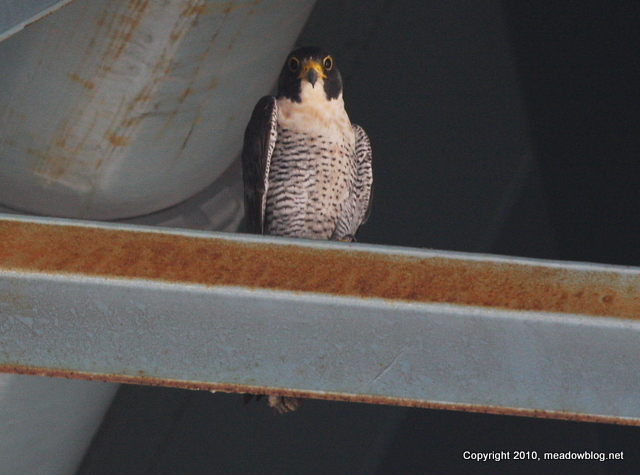 When we were looking through our photos of the Peregrine Falcon we saw on a Hackensack River Bridge during last week's birding-by-boat cruise, we noticed that the bird was banded on both legs — green on the left and gray-metal on the right. We got to thinking: This rings a bell. Sure enough, we likely saw the same bird a year and a half ago, just before he dive-bombed a Snowy Owl near Valley Brook Ave. in Lyndhurst. We learned back then that the bird was banded in New York State — could not read the bands to get more info. 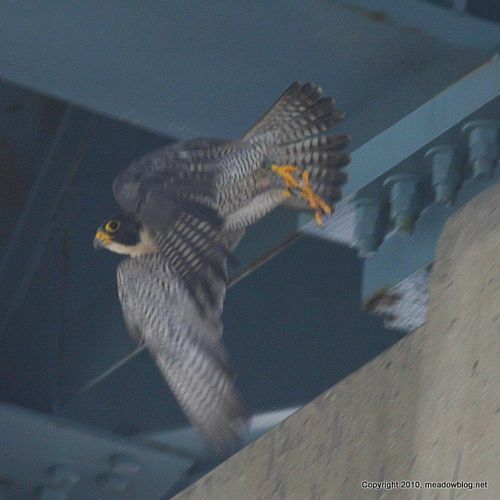 Link to the original post on the banded Peregrine here. Link to more info on bird-banding and the Peregrine here. Sorry for the blurred image of the bands — the one downside to birding by boat is you are often shooting from a powerboat with the engine running.